It has been exactly one academic year since academiPad was reborn in January 2012. On the last Sunday before university would pick up again after the holidays, I finally put a New Year’s resolution into practice: I started blogging. Just about ten days earlier I realized that, being a PhD student in Marketing, I really had no excuse not to participate in this global phenomenon that so radically is reshaping consumption and marketing alike. Maybe ten years ago, it was permissible to procrastinate watching TV – after all, you had to keep in touch with advertising in order to inform your studies in marketing! But when was the last time you watched a full block of commercials? Me too. Today, in order to stay on top of what is happening in marketing, you have to participate in the creation and curation of content, in the exchange of ideas, in word of mouth, in the chatter of social media, and even in the modest gains of affiliate marketing. As a PhD student in marketing, you have to be a blogger. If there ever was a successful New Year’s resolution, it has to be academiPad. In the last 12 months, I published 68 articles on academiPad. Most of them I wrote myself, but I also had some help by amazing guest authors who published six articles. Thanks to all of you, and especially to my friend Bryan, who contributed with three articles. academiPad attracts a steady stream of visitors every day and had been viewed over 300,000 times in its first 12 months. I also know that many people got an iPad for Christmas: Between December 24 and 25, viewership doubled. I also learnt a lot about blogging, social media, and the post-PC, post-Draper and post-traditional world of marketing and consumption. academiPad first moved from a free wordpress.com account to a self-hosted wordpress.org account. acdemiPad got a new design that makes finding the best articles much easier. And beyond academiPad, I expanded my online presence by blogging and curating content about my research and teaching. As a side note: When I started academiPad, searching “Joachim Scholz” wouldn’t spit out my webpage until long past the tenth page. Today, it’s number one on google.ca and number 4 on google.com. If you want people to find you, blogging (about anything, as long as it is interesting) is a good idea. What coming in the next 12 months on academiPad? I am teaching again this year, and this made me reflect and update my teaching methodology. In my new course I am doubling down on Real World and Collaborative Learning as well as Student Empowerment. These are refinements in my teaching philosophy, but I wouldn’t be a good academiPad host if I also didn’t come up with a couple of great digital tools that allow me put my teaching philosophy into practice. Thus, academiPad will publish some great articles about how to use iPad, Mac and especially the web for creating a Digitally Enriched Learning Environment. I also would like to share more ideas about how to brand yourself as a researcher. I already started to tell you about QR codes, and this is just the first step. I am planning to talk a lot more about on academiPad of making designer QR codes, tips and workflows for social media, as well as content creation and curation. And of course, there are hundreds of little productivity tips and apps I want to share with you over time. There is no shortage on topics to pursue, but there is one thing you will not find on academiPad: generic and shallow content. academiPad is committed to bring you the finest articles on the web that give you an in-depth understanding of an app, workflow or device. It is written with a specific audience and purpose in mind: how to use iPad, Mac and the web in research, teaching and learning. It is based on first-hand experience and a deep understanding of what it means to be in higher education. academiPad had a great first 12 months, and in order to have an even better second year, I need your help. I am not asking for money, but for your trust and time. If you like academiPad, please consider to join the free updates via email, RSS or twitter. And if you think that the information provided on academiPad would be also helpful for your students, colleagues and peers, please be so kind and spread the word about academiPad. This can be online and offline, in faculty meetings or in the classroom, on facebook or twitter. It often takes only 5 seconds (there are sharing buttons on the left side and at the bottom), and you can read more on this page if you want to help academiPad with one or five minutes of your time. Last, you can contribute to academiPad by becoming a guest author. There are some ground rules to ensure that academiPad remains one of the best places on the web to learn about technology in higher education – its like a peer review process. The rewards are great: Your service contributes to the wider academic community and maybe you get started on (or expand) your blogging activities as well. Thank you for all your support: page visits, comments, messages, likes, +1s, tweets, pins, talks in the hallways and even in elevators en route to conference rooms. It means a lot to me to hear you are liking academiPad! 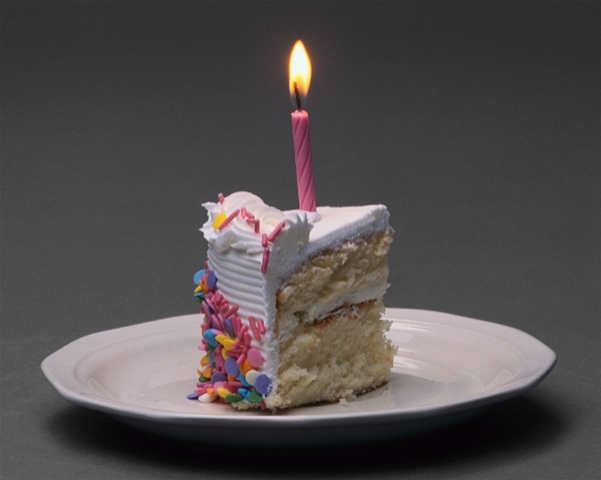 Happy birthday, academiPad, and cheers to another 12 months! Do you have any updates on Sente or Papers? I am looking to buy an annotation app for my iPad sooner than later. I am a first year phd sutdent and the amount of paper reading is increasing exponentially. Which would you still recommend? are there any new competitors? I hear great things coming from the Sente camp… can’t say more. Great blog, please keep it going. Thanks Scott. I very much appreciate all your support on twitter and scoop.it! Thanks Tan, much appreciated! I see you are building up your blog as well – thats wonderful!